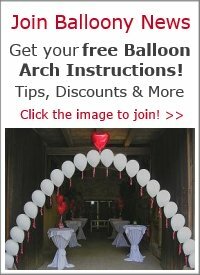 Is it better to use air filled balloons than helium for outdoor decor? Yes, absolutely. 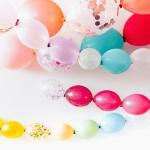 Helium is very susceptible to temperature fluctuations. The balloons will shrink under cooler conditions, causing them to drop instead of float. When it gets too hot, the helium expands and the balloon might pop. This happens to air filled balloons too, but not to the same extent as for helium inflated latex balloons. 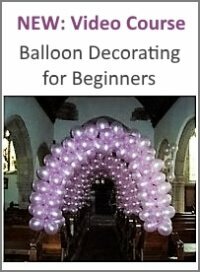 Another big plus for going with air-filled balloon decor outdoors is that you will use a sturdy frame, preventing the decor from dangling in the wind. 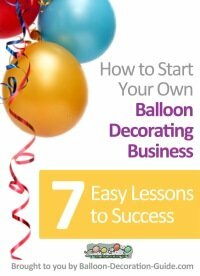 Some more tips about outdoor balloon decorations are on my page about 4th of July decorations.